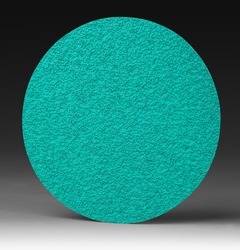 An aluminum oxide disc constructed on an E weight heavy paper backing. Resin bonded for heat resistance. Features an anti-loading stearate coating. Grade: 24. Primary markets: metalworking,woodworking.